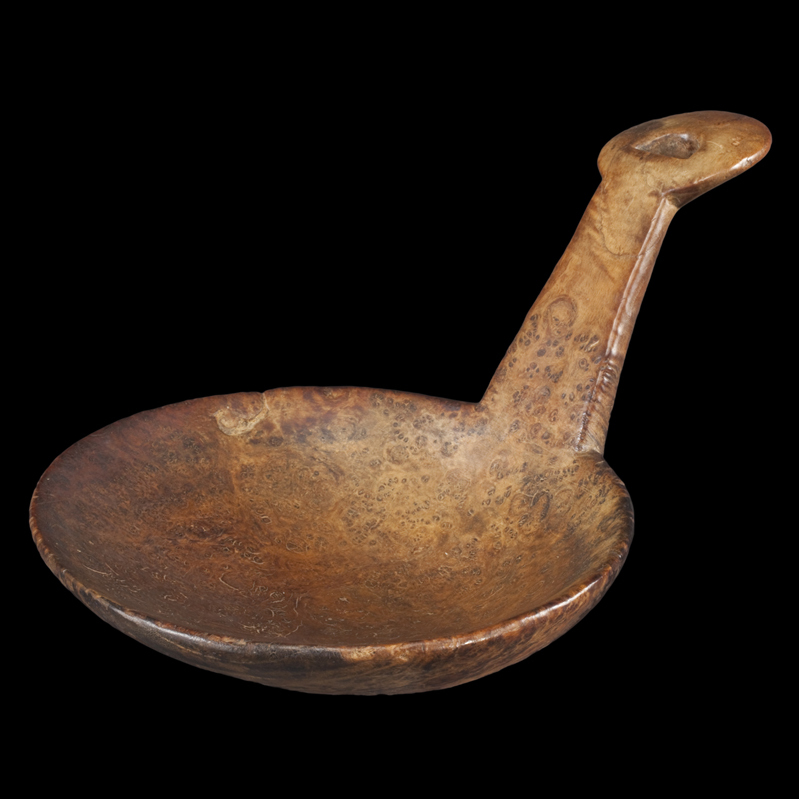 This feast ladle, hewn from a magnificent specimen of ash burl, has a large, well-balanced bowl and handle that terminates with an acutely angled disc carved with a demilune center. This demilune is interpreted as an eye of a Manitou. Research documents that this motif is repeated throughout Northeastern and Western Algonquian cultures, either singularly, in pairs, or part of a larger abstraction—it has convincingly been shown to be diagnostic of a Manitou (see Powers, Good Wood, vol. I, The Evolution of the Water Manitou as Seen Through Its Presence in Woodlands Bowls & Ladles, 2008). However, in later years, the motif appears to have become more a decorative device rather than totemistic.